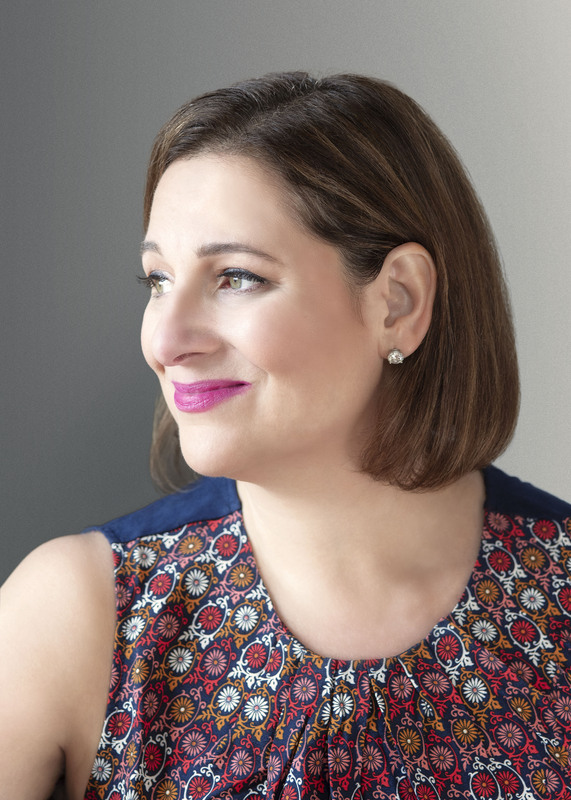 This reading group guide for The Next Best Thing includes discussion questions, ideas for enhancing your book club, and a Q&A with author Jennifer Weiner. The suggested questions are intended to help your reading group find new and interesting angles and topics for your discussion. We hope that these ideas will enrich your conversation and increase your enjoyment of the book. 1. What is the significance of swimming in The Next Best Thing? Why do you think it is such a cathartic activity for Ruth? 2. How does Ruth use humor to her advantage? What purpose does it serve her? What did you think about her involvement with Hellsmouth? 3. Throughout the novel, Ruth finds herself in situations where either she is disappointed by people involved in The Next Best Thing, or she knows she will be disappointing others. How does she handle these moments, and should she have handled any of them differently? What does Ruth mean when she says, “I could do it all as long as I felt like my toughness was in the service of something important; that I was protecting the essential heart of my story” (290)? 4. How does the novel depict male-female dynamics in Hollywood? For those people in positions of power, is their gender shown to be part of their success? Do you think that the outcome of The Next Best Thing would have been any different if the show had had a male show-runner, rather than a female? 5. Consider the various interiors described within the novel—Ruth and Grandma’s home in Framingham, the Two Daves’s offices, Little Dave’s home. What does each physical space convey about the individuals who inhabit it? 6. Why is television so sacred to Ruth? How do her beliefs about the power of television impact how she responds to the production process of The Next Best Thing? 7. After announcing that she and Maurice are engaged, Grandma says to Ruth, “I didn’t want to be alone, so I didn’t let you go when I should have . . . I should have pushed you out of the nest when it was time for you to go” (163). Do you agree with Grandma’s assessment, or do you think their living arrangements were more mutually beneficial? How does her relationship with Ruth evolve over the course of the novel? 8. Both Little Dave and Ruth have physical scars which are visibly apparent, but to what extent are they internally scarred as well? How do the ways in which they’ve been wounded shape their perspectives on the world—and how they view each other? 9. Turn to p. 299 and re-read Ruth’s description of the three major themes in literature. Which would you apply to The Next Best Thing? Is the novel more about man versus man—or man versus himself? 10. Why do you think Ruth is devastated by Cady Stratton’s weight loss? When Dave tries to console Ruth, saying, “There are pretty girls who can’t get out of their own way,” Ruth responds: “But nobody identifies with them.” With whom do you agree, and why? 11. How are traditional notions of beauty and sexuality challenged in the novel? Which couples get “happy endings” and what does that happiness look like? 12. Discuss what the words “compromise,” “collaboration,” and “concession” mean to you. Are they simply variations on the same concept, or do you think there are distinct differences between these terms? As a group, can you agree upon an example of each in the novel? 1. 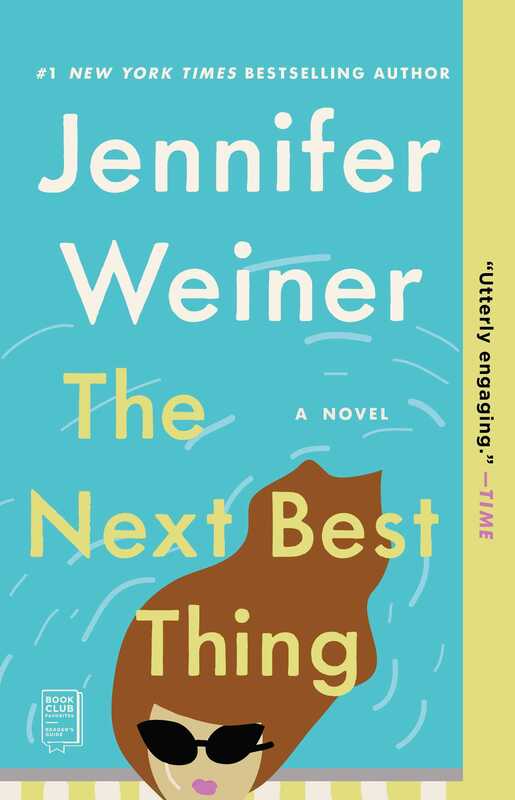 The Next Best Thing is Weiner’s tenth novel. If you haven’t already, consider reading Good in Bed, her debut, and discussing it as a group. In The Next Best Thing, how is Weiner revisiting some of the themes she raised in her first book, in new and different ways? How are Ruth and Cannie similar—and how are they different? 2. If you were to create a television show, what would the pilot be about? Which actors and actresses would comprise your dream cast? Share your imaginings with the group. 3. Before she was the heroine of The Next Best Thing, Ruth Saunders appeared in “Swim,” a short story featured in Jennifer Weiner’s bestselling collection The Guy Not Taken, and available as a free e-story online. If you haven’t already, read “Swim” as a group, and then discuss how Ruth has evolved in The Next Best Thing. In particular, what does Ruth learn in “Swim,” and how does she use those lessons in the novel? This is your tenth book. How has your writing process changed since your debut, Good in Bed? Honestly, the process—the sit-in-the-chair-and-write-it—hasn’t changed much. What has changed is I’m now the mother of two—a preschooler and a grade-schooler—and I fit my work around their schedule. I have a LOT of help—a babysitter and an assistant—but I’ve also been known to take my laptop to Little Gym, wave at my daughter through the window as she runs by, then type again, then wave again, then type some more . . . so it’s less about the logistics of storytelling than it is about time management. You were the co-creator and co-executive producer of the ABC Family show, State of Georgia. How did this experience affect your approach to The Next Best Thing? State of Georgia made me realize what a charmed and lucky life I’ve led . . . at least professionally. I’m an Aries (if you believe in astrology) and an oldest child (if you believe in birth order). I set goals for myself. I wanted to work for a big paper by the time I was twenty-five, and was hired by the Philadelphia Inquirer with four months to spare. I wanted a column by the time I was twenty-eight, and got that. I wanted to sell a novel by the time I was thirty, and missed that deadline—but just by six weeks. I didn’t have any hopes for the book becoming a bestseller—I knew how rare that was, and how few writers get to support themselves with their writing—but I wanted to write, as one of my professors told me, the story I was born to tell, the book that I wanted to be on the shelf and couldn’t find. Whether it sold twelve copies, and eight of them were bought by my fellow Weight Watchers, was up to fate, not me. . . . I’d just write the best book I could, and hope for the best . . . and if the best meant I could walk into a bookshelf, point out my book and say, “I wrote that,” I’d be very happy. So . . . I wrote the best books I could. The first one stayed on the bestseller list for almost a year. The second one became a major motion picture. The third—and every book since—hit the Times list in hardcover. My 2009 book, Best Friends Forever, was a number-one bestseller. I quit my day job and got to stay home and do the thing I loved. I succeeded beyond any dream I’d ever had of success. So, when Hollywood came calling, I thought, Of course! This will be great! A chance to learn new skills, to have a new job! Best of all, a chance to tell a story about a big girl who gets her happy ending, the great clothes and guys and lines without having to get skinny! A girl who changes the world, instead of letting the world change her! A girl who can be a beacon, shining for all the girls who look more like Melissa McCarthy than Miley Cyrus! ABC Family felt like the perfect place to do it (although it was tough, explaining to my Nanna the difference between ABC and ABC Family, which is their cable outlet). I have daughters, and I wanted to tell those stories in a place where young girls would see them . . . where they could turn on the set and see someone who looked like them being the star of the show. I had no idea that the woman the network would cast didn’t want to be “that girl” any more, and would fight us every step of the way about wearing the padding it took to get her to look even remotely non–model-sized. I never imagined that I’d fail, and fail so spectacularly . . . that I’d want to do the story of a plus-size woman trying to make it on Broadway with an unknown actress, and that the network would want to do it with a name-brand star . . . who’d lost thirty pounds since the last time she’d been on TV. I didn’t know they’d insist on a laugh track, or hand-pick our protagonist’s co-star, or want the kind of broad physical humor in each episode that I was—how to put this?—not a fan of. State of Georgia lasted nine episodes, and I’m proud of the writing in every single one of them. Each episode has a joke, or a moment, or a scene, or a bit of dialogue, that I’m proud of . . . but it got canceled anyhow. And I learned that it got canceled via the Internet, as opposed to anyone from the network calling to tell me. It was awful. But the thing about failure is this: if it doesn’t kill you, it teaches you things. It makes you humble. It reminds you that not everything you touch turns to gold. And, if there’s ever a next time for me and television, maybe there will be a happier ending. Or not. One of the things I learned about Hollywood is that so much of what happens out there depends on luck, and timing. So, for now, I’m content to write books that star the kind of characters you don’t see on TV—the girls who wear double-digit sizes, who are more beloved for their wit than their pretty faces, who get the guy, and save the day, because they’re funny and smart, not pretty. And if I have another book made into a movie, or another TV show picked up? I’ll hope for the best . . . but expect the worst. Ruth first appeared in your writing as the protagonist of “Swim,” a short story you included in The Guy Not Taken. What was it like for you to revisit this character? What drew you back to her? I always like to write about women at a moment of change or crisis in their lives—that moment that’s full of both possibility and peril, where every choice you make is going to have lifelong resonance. Ruth is twenty-eight, single, in love with a man she believes has no interest in her other than a professional one, and a face that she’s ashamed of. She’s so broken, and so brave. She uses her sarcasm as a shield, but instead, she’s such a marshmallow, and she just wants to be loved. Not all of my characters stick with me when the story or the novel’s done, but Ruth did. I thought about what happened to her, and I wanted to tel her story more completely, and give her a happy ending. The Next Best Thing is your first novel to take place almost entirely in Los Angeles. How does it compare, as a setting, to the Northeastern cities you have written about? I wish I had something super-original to say, but all the clichés about LA are true: the weather’s gorgeous, the traffic’s a nightmare, there’s a lot of Botox and implants and worrying about aging and it’s not necessarily the best place to raise daughters. Not all of it was bad—I went out there with my children and my sister and my mom, and we rented a big house in Los Feliz with a pool and a hot tub and an orchard with lemon and plum and apricot and avocado trees. I loved the way the air smelled, and that it was never humid (my hair never looked better!). I hated the car culture, and how rare it was to see people walk anywhere, and the tiny parking spots in the Whole Foods parking lot, and how, sometimes in the pickup lane at my three-year-old’s playschool, there would be paparazzi, because a famous comedian’s daughter went there, too. Also, I once ate a hemp bagel. I wasn’t sure I’d be allowed back on the east coast after that. I think, deep down, I knew that Hollywood was not going to be my forever place. But I’m a swimmer, and I loved writing about characters who could swim all the time! In the popular imagination, Hollywood is defined by beautiful people. However, you have chosen two physically “imperfect” people as your protagonists. Why was this important to you? How did this change the way you told your story? Swimming serves as an escape for Ruth. Is there an activity that has the same effect for you? Anything physical, really, where there’s a rhythm to the strokes or the strides or the turns of the wheels. I swim, I bike, I run, I do sprint-distance triathlons (very, very slowly), and I think when I move . . . so even if it looks like I’m slacking by just walking the dog or whatever, the truth is, I’m working. Swear to God! The Golden Girls is Ruth’s favorite television growing up, and it has a formative impact on her. What was your favorite show as a child, and did it affect you in the same way? What do you think television offers, as a storytelling medium, that books and movies do not? Ha. Okay, here’s the sad-but-true part: I wasn’t allowed to watch TV until I was in college. My parents—a child psychiatrist and a teacher—believed that television was a Bad Influence, and we could only watch half an hour of PBS and the occasional Mutual of Omaha’s Wild Kingdom. The irony is, of course, I write books and TV shows, and had a book made into a movie, one of my brothers is a film producer, the other is an entertainment lawyer, and my sister is an actress who makes videos for places like Funny or Die. In lieu of TV, we were all forced to be funny around the dinner table, and it’s a skill that I think has served each of us well. In terms of of what TV has to offer, it’s very stripped down. No interior monologues (unless you do them in voiceover—ugh). No description. Just dialogue and action and no need to describe the room because it’s right there. Lucky for me, I love writing dialogue and hate writing description, and I like a story where things move along briskly, so writing scripts wasn’t that hard a transition. Unlike your recent novels, which have been narrated from multiple points of view, The Next Best Thing is told from Ruth’s perspective only. What was it like for you to return to single narration? Did it change the way you approached Ruth—or the plot? With this book, having lived through the failure of Georgia, I wanted to go back to basics: a flawed yet lovable girl, a battle she’d either win or lose, a vivid cast of supporting characters, a new world to explore. Where Then Came You was very much an issue-of-the-times book, with surrogacy and fertility and how money influences the options women have, and Fly Away Home was very topical—cheating politicians! Wives standing by their men! Daughters’s lives thrown into turmoil!—The Next Best Thing was a simpler story, like Good in Bed or Best Friends Forever, with a great, broken, admirable character at its heart. I wanted to go back to my wheelhouse, to give my readers, old and new, another character to love the way they loved Cannie in Good in Bed and Addie in Best Friends Forever . . . and I hope I did! You are a reality television buff, and as many of your fans know, you live-tweet The Bachelor and The Bachelorette. How do you think reality television has affected pop culture on the whole? When her show is first picked up, Little Dave tells Ruth to enjoy it, because, “It’s as good as it’s going to get.” What advice would you give young writers who hope to work in television? I’d tell them to know that there will be compromises. Because there’s a lot of money at stake, there will, necessarily, be a lot of cooks in the kitchen . . . and, in many ways, it’s an industry driven by fear. Nobody wants a show to go down, nobody wants to lose her job, and so you go with what’s worked before (in the case of ABC Family, which aired Georgia, that meant name-brand stars: you loved them in the 1990s, you’ll love them now!) Just know what’s coming; pick your battles, fight them hard, accept defeat gracefully, learn all you can . . . and then maybe try to get a deal with a cable outlet that doesn’t have to answer to advertisers, and could stand to learn that there are worlds outside of Brooklyn, and women who live there, and struggle, and sometimes even win.